Mere academic discussion alone won’t transform Indian education! We need a broad social and political ideology! Those opens up and integrate into a new class-based liberal society where the upper class, the middle class and the rest of the classes feel the society opened up and accommodate all citizens as enjoying equal rights and opportunities for progress. Adolescents are a wealth of a nation! Or, adolescent dreams represent a nation’s wealth! In India, this dream, this wealth is mostly burnt up in preparations for the examinations! How many times we have heard of these types of statements? May be most of the times whenever we come to the topics of education system in India. 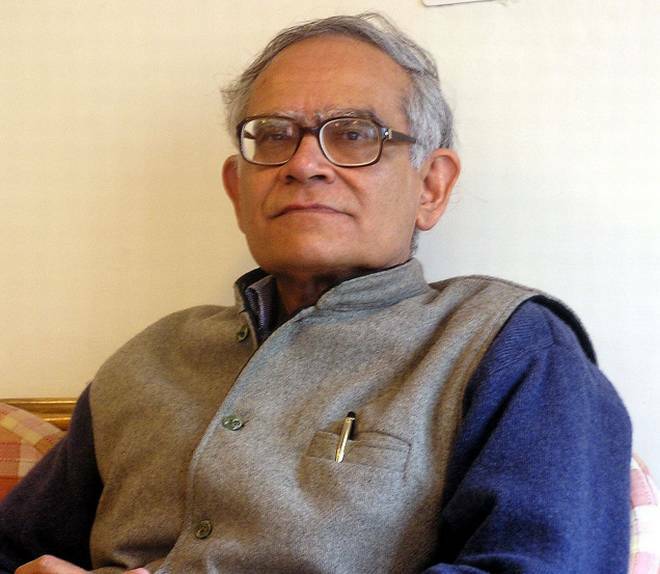 In fact, some educators like Prof. Krishna Kumar of the NCERT, National Council for Education Research, of which he was for long the director; maybe there are many such sensitive educators either in some government jobs or outside who work for an education system that doesn’t kill the youth power, its dreams and idealism and what not? But unfortunately Indian education system has not evolved; we often also blame the Macaulay system of education which introduced, so say many that is responsible for the present Indian mindset that seeks for quick deliverance from such niceties like textbooks, teaching, exams and escape from the oppression and suppression of the Board exams and pass out to reach the college. But then the dreams of a university education are also unfulfilled for the many for the higher education system too had fallen into a rut, as we can see in many states, mostly so in the more advanced states like Tamil Nadu where you can see the worst developments in the name of research and faculty development. They, most universities in that state, have split up the departments into as many as 83 departments in the Madras university; also the same practice is seen in Madurai and in Bharatiyar university in Coimbatore to reward the loyal teachers. The selection and appointment of Vice Chancellor are all so faulty that recently the then incumbent Governor of the State had appointed, he signed the order of appointment and even now other universities are unable to even find a non-controversial member of the selection committee to search and indentify suitable candidates for the VCs jobs! Why? What else the unstated state of the role of big money in corruption in university education! Of course, the mention of money, corruption, why even the role of politics and politicians, the very process of politicization of education is where the Macaulay model of education finds itself. If you want to mention politics then the very education experts all vanish in the air for the fear of the incumbent holder of the lever of power. There are as many stories within other stories when it comes to education policy making and education administration. Fortunately, this journal is not a pure academic education journal. It is an independent education media where we discuss the more realistic ground-level realities of how education has been turned into a commercial product that even, (only in India? )where even the big corporate houses run tuition industry as a most profitable field of money-making. Or, some of the collaborations in education are forged with those in such Gulf countries like Dubai or Abu Dhabi! It is taken as a badge of honour to add in your CV that you had worked for some years in the Gulf countries. So, what is the future for the adolescents in India who, as recently happened in Panapakkam in the rural town of Vellore district where four adolescent girls jumped into a well and committed suicide for fear of facing the school exams. It is not a rare incident. In fact, we have to go for the high society, the elite, yes, including the political elite class who run big corporate style large scale network of schools, from Delhi some of these schools have come to Bangalore and set up highly profitable schools with fancy names, charging very stiff fees. The more your school’s fee structure is the more reputed is your claim for social recognition! Now, what else we can do to liberalize education? What we need is a more practical and even drastic step on the part of state education departments; from the state education ministers. The boards, both State and Central, can order the schools, at least some of the bigger ones to appoint full-time or part-time arts, music and dance and art teachers and allot marks in these subjects in the final exams. There should be marks for sports, or social activities. The often misled parents’ emphasis on marks and selection of subjects in final school exams must be dictated not by blind beliefs of parents but by teams of education experts and education psychologists and others. Unfortunately, once the Public Schools were leaders of good education. Alas, no more! They too have fallen on the same enduring bad practices like tuition-inclined trends. The IITs and IIMs are all have not yet broken this crushing of creative talents of youngsters. We have to revive and vitalize the creative talents of the individual students in a persistent effort to open up the closed education syndrome.